A Girl and Her Scout: Etsy Show and Sale this Weekend! 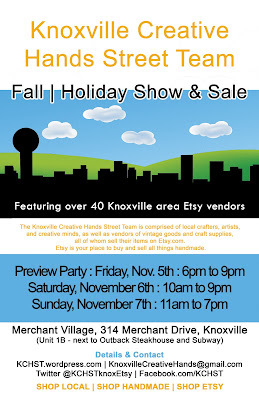 Etsy Show and Sale this Weekend! 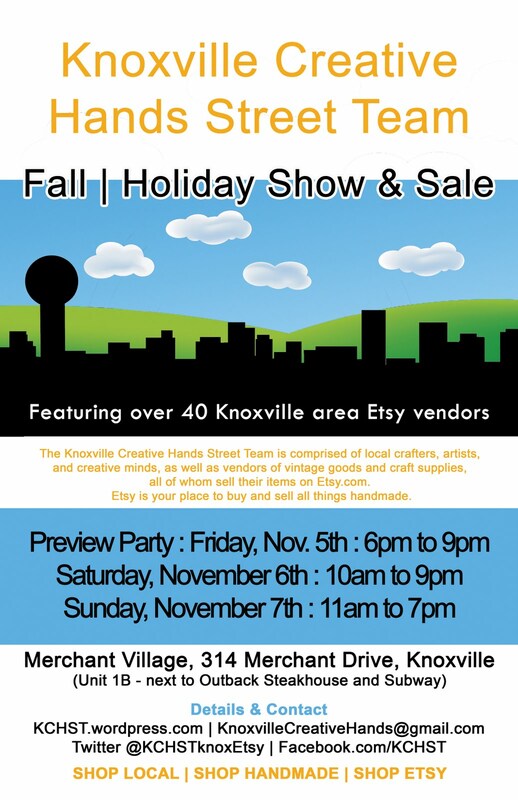 Hey all you Knoxvillians out there, get excited because this weekend, the Knoxville Creative Streets Etsy Team is having a show and sale Friday, Saturday, and Sunday! It's the perfect time to start your holiday shopping and what better way than getting your family and friends unique, one-of-a-kind, handmade gifts!! And better yet, several artists that have been featured on this blog will be there!